During your trip to West Virginia, you may need some solitude or downtime in nature; what better way to find this than to visit a waterfall. Whether it is the simple act of a gentle (or vigorous, if you choose) walk in nature or the sight of the water cascading over the rocks, your time visiting all the beautiful waterfalls will be well spent. 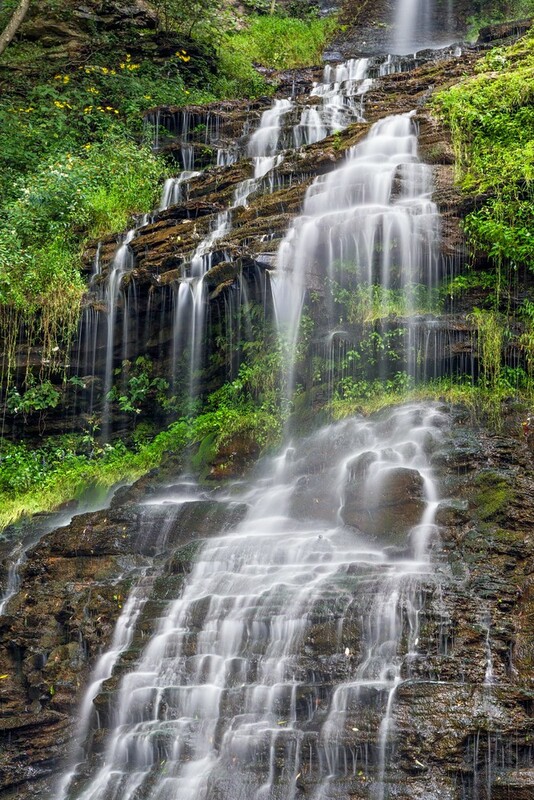 Each waterfall is a little different and offers a variety of gorgeous scenes to photograph and enjoy. 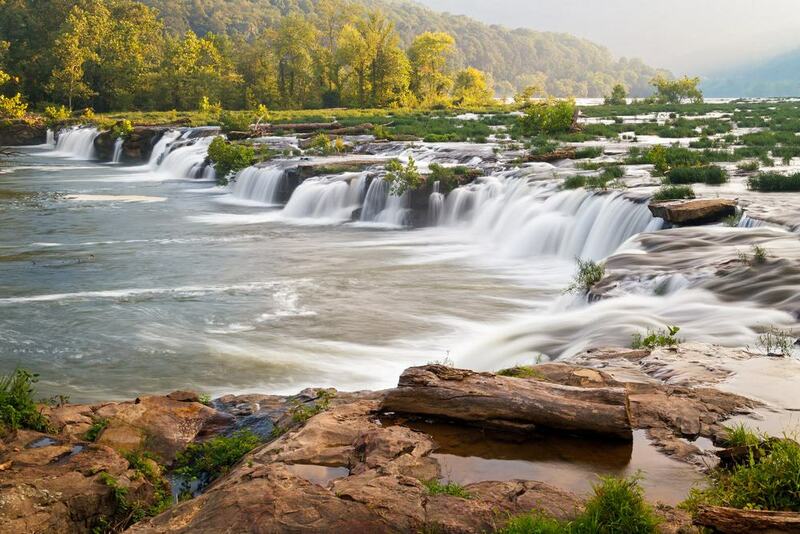 Whether you are looking for an off-the-beaten-path type of waterfall like Elakala Falls or something a little more accessible like Kanawha Falls, you will find a place where you can connect with nature and enjoy incredible views. Cathedral Falls is accessible from the road and can be seen just by driving by; however, you should stop, stretch your legs, and take a closer look. Cathedral Falls is located nearby Kanawha Falls and is only a short drive upstream to reach. You won’t want to visit only one of the falls, because each is beautiful and different in its own way. 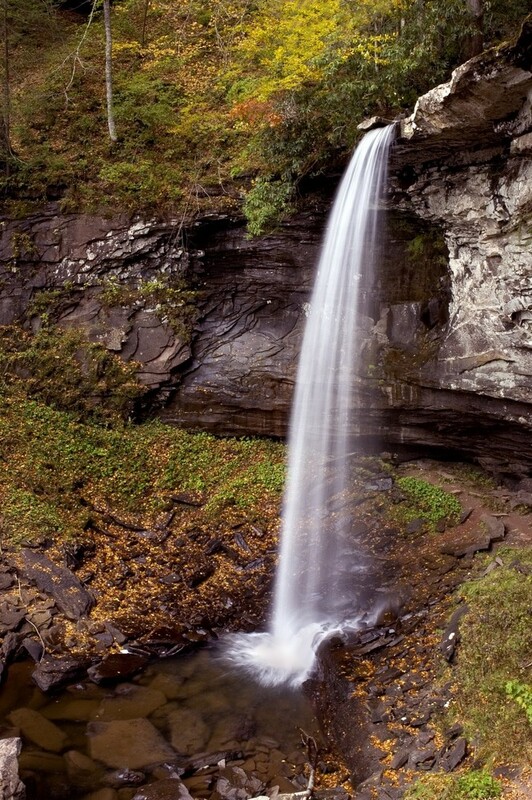 Blackwater Falls is situated close to Elakala Falls and both should be enjoyed while in the area. Blackwater is 62-feet tall and described as a yellowish-brown colored falls. People often argue that you cannot visit West Virginia without making a stop at Blackwater Falls. 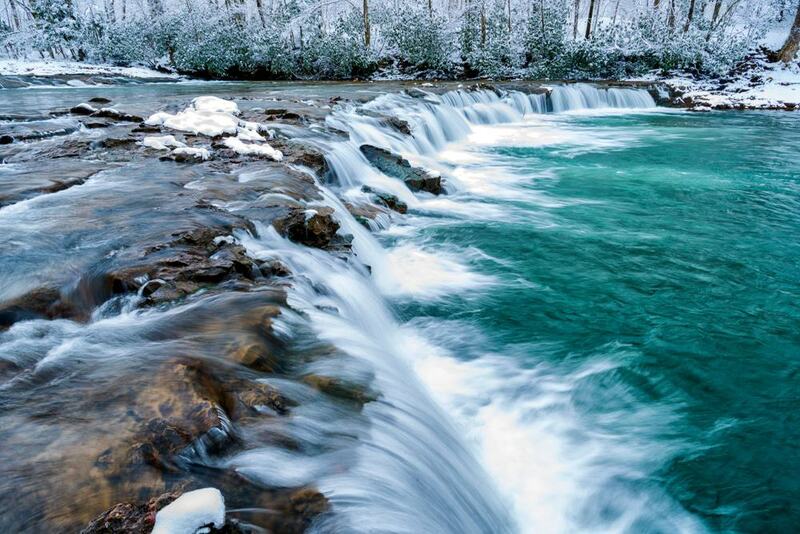 Many times during the winter months, the falls will actually freeze over, creating stunning pictures. 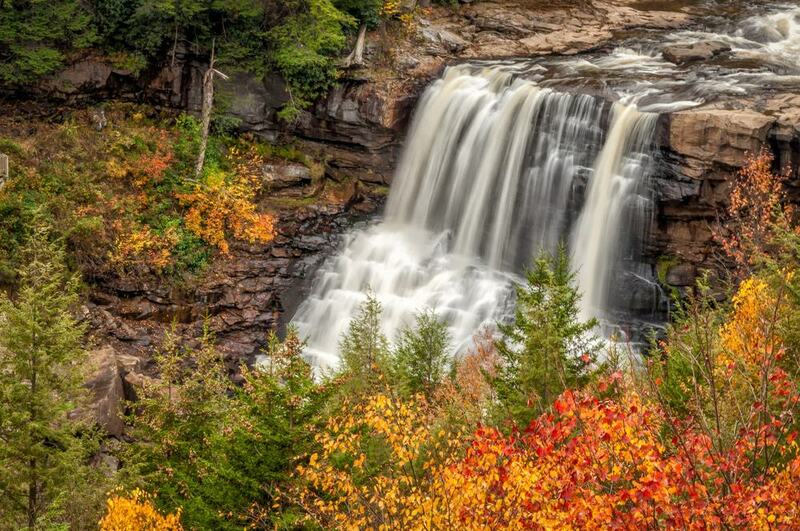 Depending on the season you visit, make sure to dress accordingly and pack well in order to enjoy yourself at Blackwater Falls. Elakala Falls are found in Blackwater Falls State Park in the north side of West Virginia. This place is an off-the-beaten-path type park which should not be missed. There are four separate waterfalls – two upper, and two lower. Each one offers different views and interesting drops. Depending on how adventurous you are feeling, you can either stay on the main trail that crosses a gorge and is accessible by going over a bridge, or you can climb down the 200-foot gorge and see the lower falls. This can be dangerous depending on the season and your level of hiking experience. Always be cautious. High Falls are is one of the most picturesque falls located in the Monongahela National Forest. The falls are rather small but the trail alone is well worth experiencing when visiting West Virginia. You might get lucky and see some wild mushrooms on your journey, depending on the time of year you visit. During high season, High Falls tends to get rather busy. Sandstone Falls are around 20-feet tall and offer a variety of different river views. Since the falls are situated on the river, you can jump in for a refreshing swim — obviously dependent on the time of year that you visit! You will notice that the drive to Sandstone falls is incredible, offering scenic landscapes that turn into vivid views of the water. This is a great place to spend the afternoon catching some sun and enjoying a beautiful picnic with stunning views. 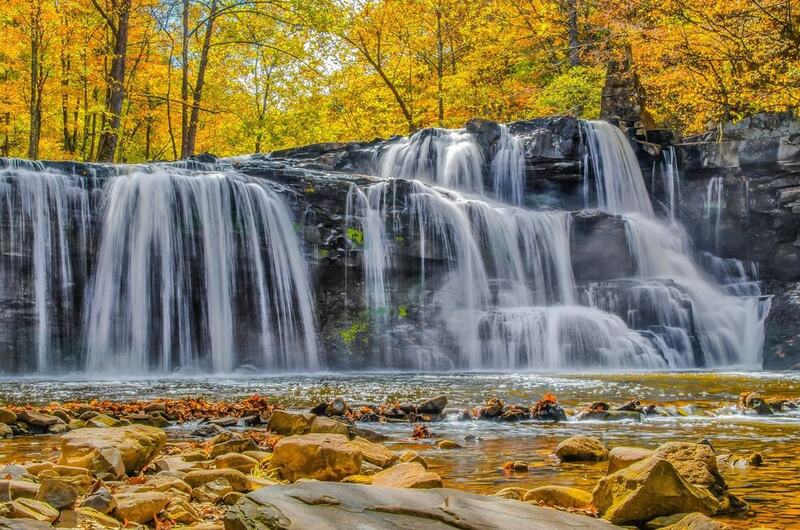 Pipestem Falls is one of the most picturesque waterfalls in West Virginia and should be a place to cross off your bucket list. 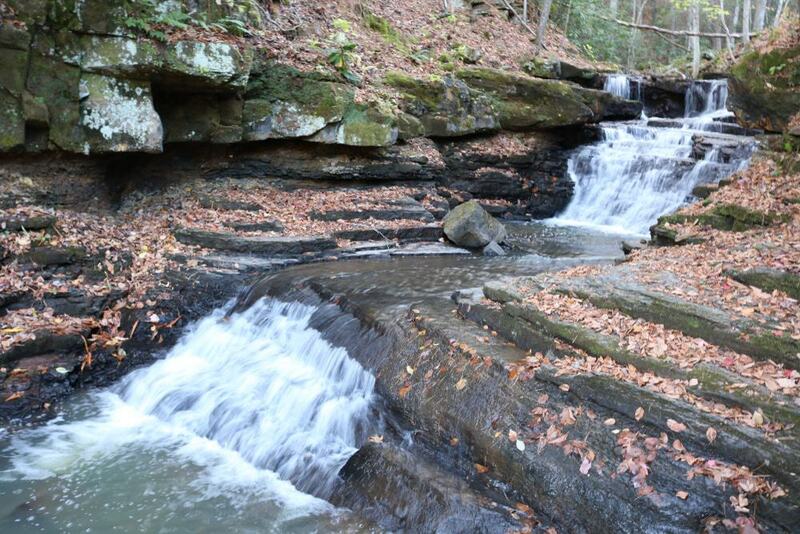 You can access Pipestem Falls just off the side of the road along Route 20. The waterfall is around 30-feet tall. This is a unique place to visit and the road to reach the falls is rather scenic itself. Pack a picnic and enjoy lunch with water views. Babcock Mill Creek Falls is located in Babcock State Park and offers over 4127 acres of trails and rivulets to discover. Babcock Mill Creek Falls are located around 20 miles to the south of New River. Besides visiting this beautiful waterfall, many people enjoy fishing, boating, and hiking through all the different trails. Many nature photographers frequent Babcock Mill because of all the photo opportunities. You can even bring a drone to the park and get more incredible pictures, however, you are only permitted to use the drone between the hours of 1-3pm; after that, you will have to stick with your camera. You may choose to camp near the falls and enjoy a few days at the park. 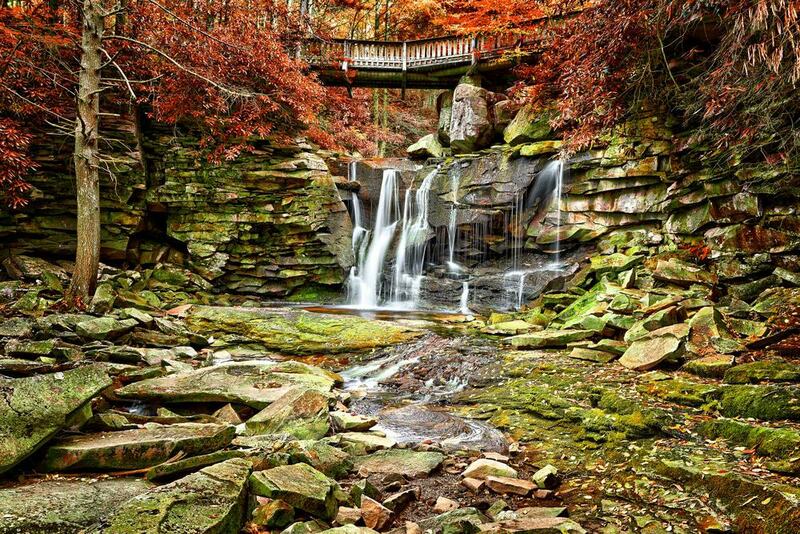 Valley Falls are located in Valley Falls State Park, which was once the site of a lumber mill. Valley Falls is a series of four different waterfalls that rush from the Tygrart Valley River. Valley Falls State Park sprawls over 1145 acres, with many fun activities to do throughout the day. The park opens at 7: 00 am and stays open until dark. There is a museum and historical site here, as well as an area to go biking, fishing or spend a few nights camping. Whitaker Falls offers a small series of waterfalls which are unlike any other waterfalls you will find in West Virginia. The greenery that surrounds the falls is absolutely stunning and produces incredible pictures. Whitaker Falls are located around 10 minutes from Elk River Lodge, where you will find camping options, hotels, and restaurants. There are no facilities near Whitaker Falls itself, so take advantage of this place before you head out. Falls of Hills Creek is located around five minutes by vehicle from Cranberry Mountain Nature Center, which is in the Monongahela National Forest. 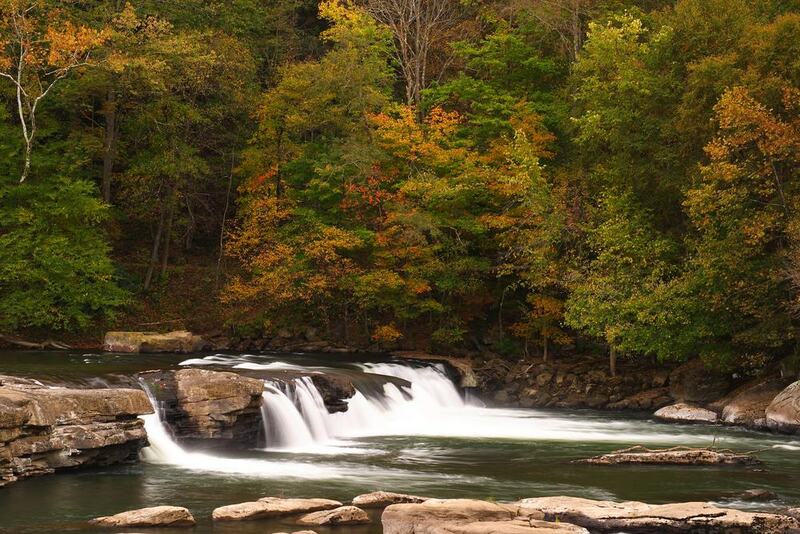 You will notice there are three different falls in the area, which features some of the cleanest waters in West Virginia. Falls Creek is an easy hike for all levels of hikers; however, there is a section that offers more weathered trails, which comes out at two different waterfalls. People consider those two falls to be more scenic, so spend the day being adventurous and reach all three of the falls. Wonder Falls are located in Preston County and are around 15-feet high. 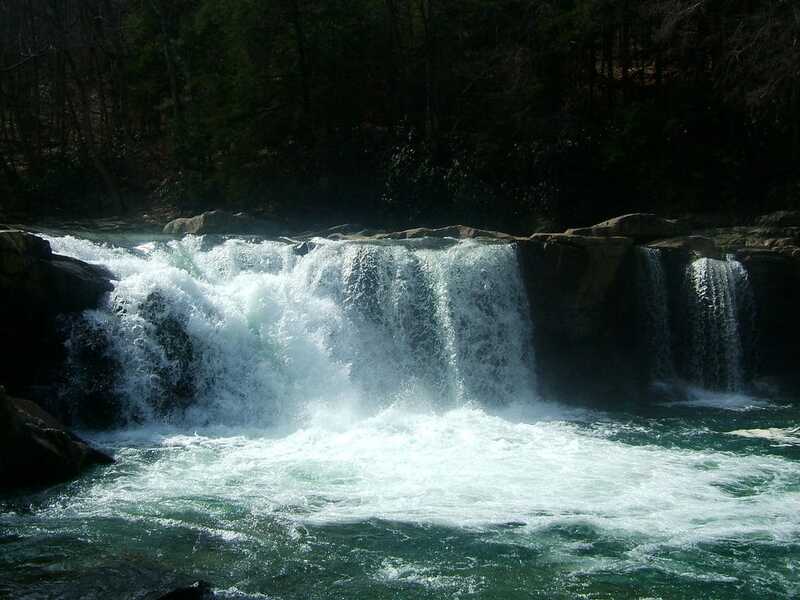 The water from Wonder Falls comes from Big Sandy Creek. This waterfall is very scenic, but it is not one of the tallest falls in West Virginia. This place is peaceful, thanks to the remoteness. 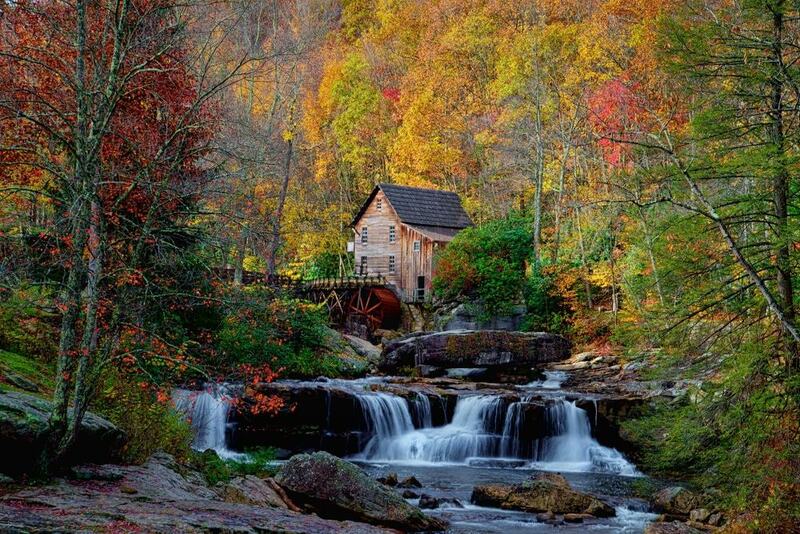 If you are looking for a more relaxing experience in West Virginia, Wonder Falls is your place. You will notice kayakers and rafts float by, as this is a popular place for water activities. Brush Creek Falls is located in Mercer in the Brush Creek Nature Preserve. It is around 25-feet tall, with the water sourced from Brush Creek. Depending on the season and water levels, the falls flow at different speeds throughout the year. In the springtime or after several days of rain, the water is consistent and rather heavy. When the water is not high, you can see behind the falls. Many tourists and locals come to Brush Creek Falls to party, so sometimes you may find trash here. Don’t let that scare you away; this is a gorgeous spot to visit. Douglas Falls is considered to be one of the best waterfalls in West Virginia and is great to visit on a sunny day. The scenery surrounding the falls is beautiful, especially when the sun hits the pool of water underneath the cascade. Douglas Falls is close to Blackwater Falls State Park. 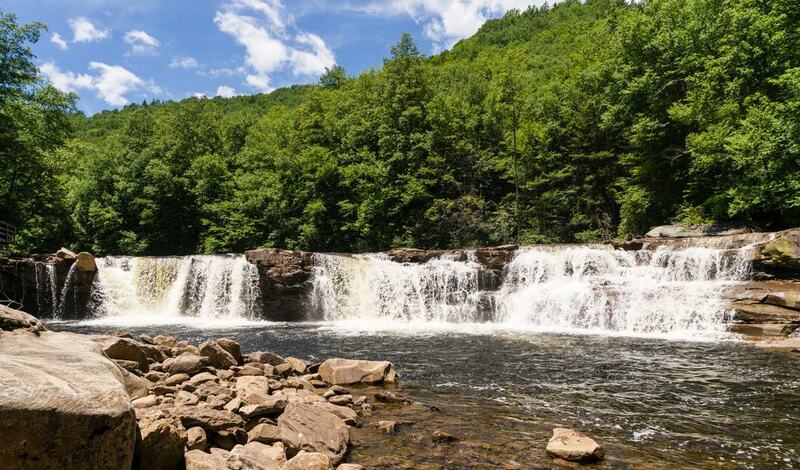 These falls are not as scenic as Blackwater Falls but offer a more relaxing and remote experience. Peach Tree Falls may be off-the-beaten-path, but that makes them unique. You have an adventure ahead of you before you get to the real reward. The falls are around 30-feet tall and empty into the Marsh Fork of Coal River. If you follow the Marsh Fork, you can access the falls from that point. You can walk around the bottom of Peach Tree Falls; this place is great for capturing beautiful nature shots. 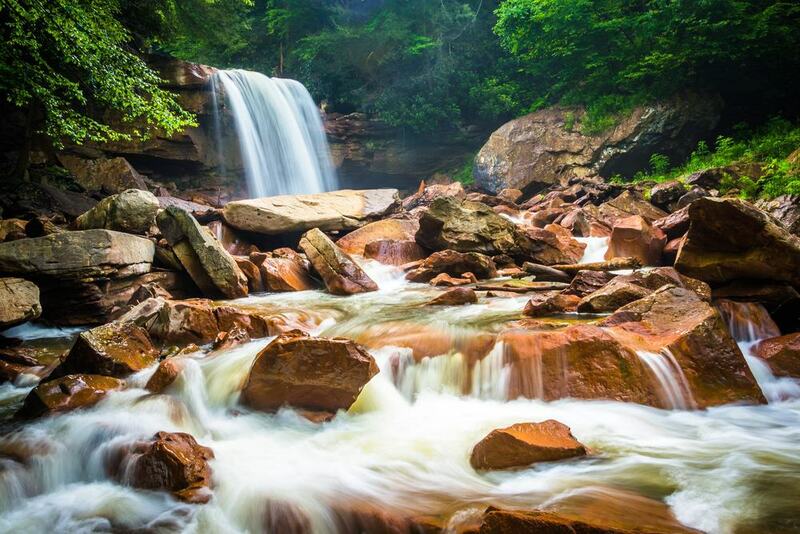 Fox Branch Falls is an incredibly beautiful waterfall located in West Virginia close to Hawks Nest Lake. This waterfall travels on a park tram path, which is rather different from all the other waterfalls in West Virginia. You will head into New River Gorge in order to reach Fox Branch Falls, which is a steep path that approaches New River. The trail is around 2.4 miles and takes anywhere from 1.5 hours to 3 hours. You can access Fox Branch Falls year-round and you can bring your furry friends, too.